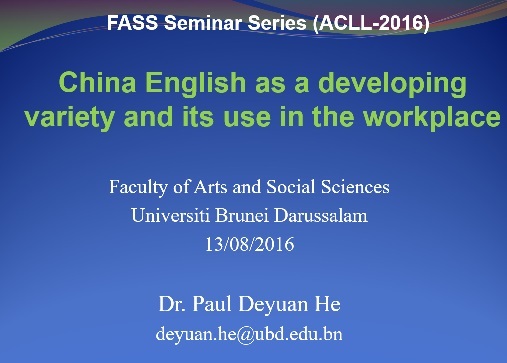 On 13 August, Paul He gave a FASS seminar entitled 'China English as a developing variety and its use in the workplace'. 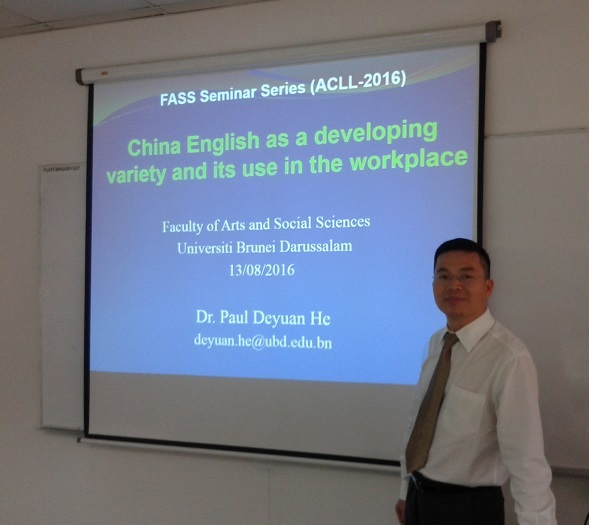 He reported on attitudes towards the use of English, based on 2,247 questionnaries filled in by staff in government offices, public-sector units, and private-sector companies in China. 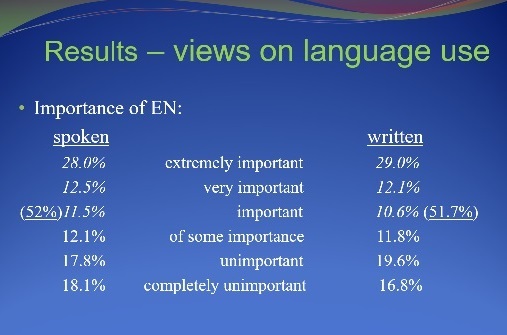 The results show that 52% of respondents feel that spoken English is important in their daily work, and 51.7% feel that written English is important in their daily work. However, these figures are highest for workers in the private sector, while government officers believe that English is less important in their work.